Knee replacement surgery. Surgical team performing a total knee replacement operation. 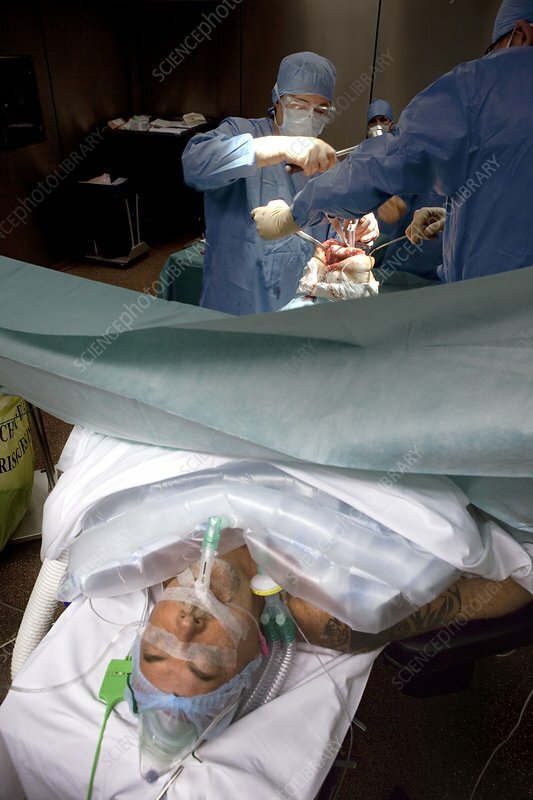 The anaesthetised patient has been intubated (a tube inserted into the airway) in order to deliver general anaesthetic and provide mechanical ventilation. During the operation prostheses will be implanted into the thigh bone (femur) and shinbone (tibia) to form an artificial knee joint. Knee joints need replacing when the protective cartilage that lines them is lost. Cartilage can be lost due to injury or arthritis.